Pavai nombu is an important tamil tradition practiced since very ancient times. This nombu is observed throughout the month of Margazhi. The history of Pavai Nonbu is more than 2000 years old and is mentioned in the Tamil scriptures. This Vrat is observed for good husband and blissful married life. They also pray for the rain and prosperity for the country. The girls and women bath before sunrise in the river and worship a girl idol (Pavai goddess – related to Parvati) made out of wet sand. 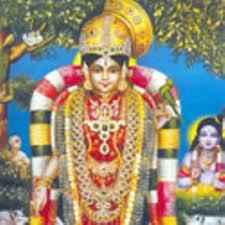 Then, the girls go to the temple of Narayana and read a verse from Thiruppavai composed by Andal. Tirupavai is a composition of 30 Verses. They read one verse each day.It is believed that Andal observed the Pavai Nombu to merge with Sri Ranganatha.